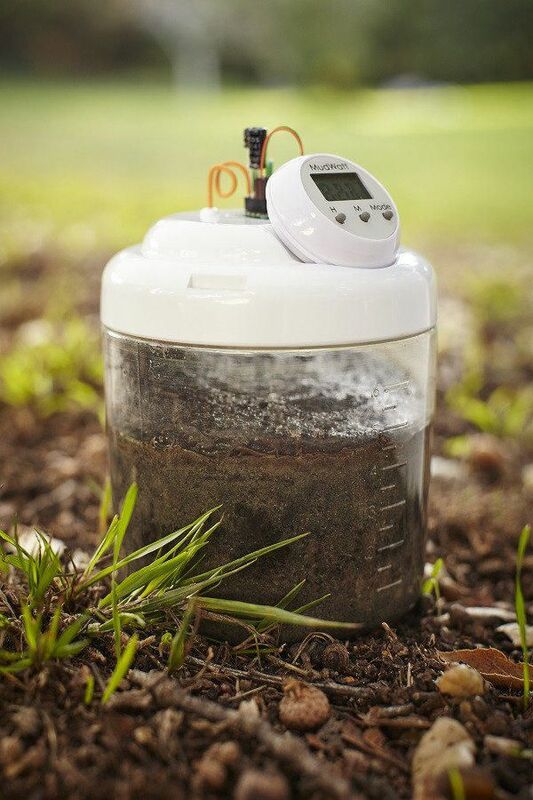 Create clean energy from mud! 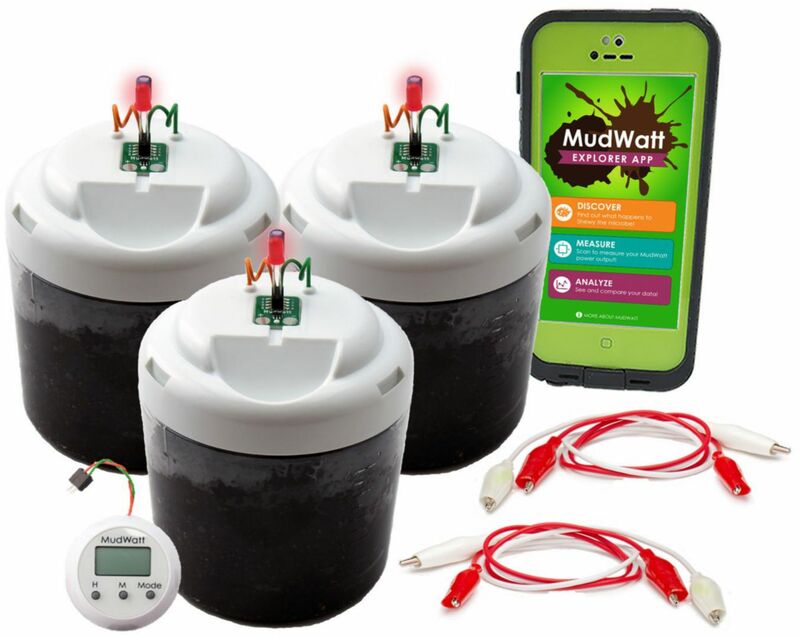 Ordering information: Classic Kit includes: 1 Complete MudWatt Unit (1 Anode, 1 Cathode, 1 Vessel, 1 HackerPack); 1 20-Page Educational/Instruction Booklet; 1 Pair of Black Nitrile Gloves; and MudWatt Explorer App (available on iTunes and Google Play). 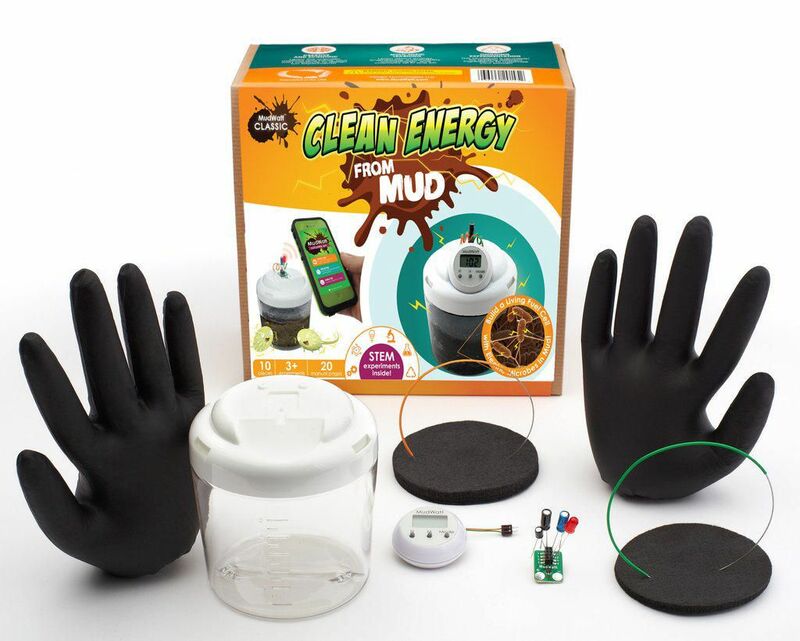 Science Fair Pack includes 3 Complete MudWatt Units (3 Anodes, 3 Cathodes, 3 Vessels, 3 BlinkerBoards, 1 Digital Clock); 2 Pairs of Alligator Cables and Jumper Wires (for connecting MudWatts together); 1 Multimeter + Resistor Set (for determining max power); 1 20-Page Educational/Instruction Booklet; 1 Pair of Black Nitrile Gloves; MudWatt Explorer App (available on iTunes and Google Play). 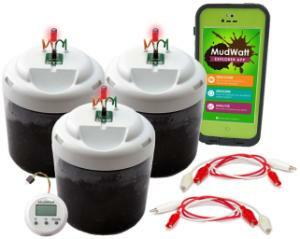 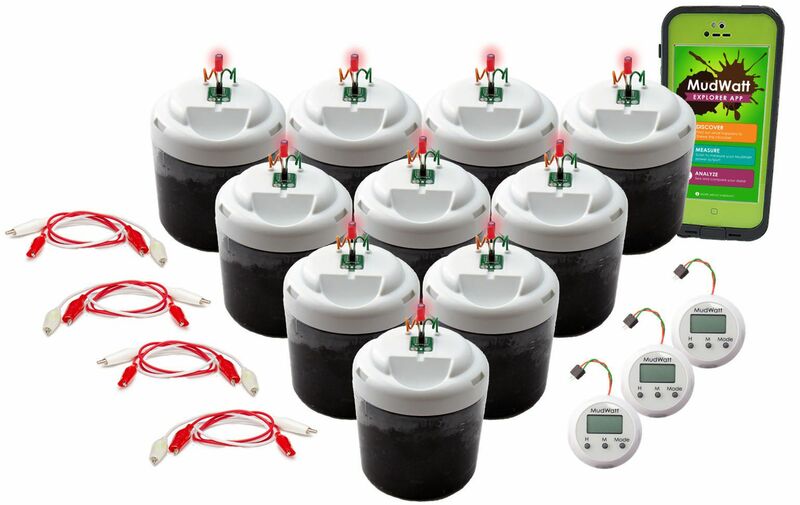 Classroom Pack Includes 10 Complete MudWatt Units (10 Anodes, 10 Cathodes, 10 Vessels, 10 BlinkerBoards, 3 Digital Clocks); 9 Pairs of Alligator Cables and Jumper Wires (for connecting MudWatts together); 3 Multimeters + Resistor Sets (for determining max power); 10 20-Page Educational/Instruction Booklets; 10 Pairs of Black Nitrile Gloves; MudWatt Explorer App (available on iTunes and Google Play).